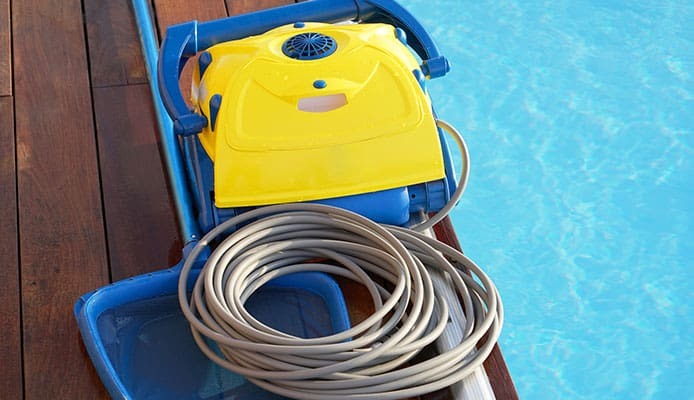 There are lots of different types of pool cleaners with designs that are manual and automatic. Automatic pool cleaners are an efficient way to clean your swimming pool and make pool maintenance easier. A reliable and trusted brand of automatic pool cleaners is Dolphin. 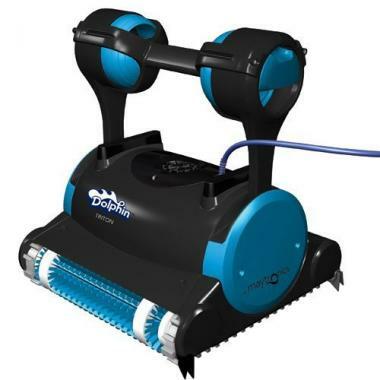 A top rated Dolphin robotic pool cleaner will clean your pool, while you are swimming in it. You can eliminate the work and stress of pool maintenance by using a Dolphin pool vac. However, there are a lot of different designs and series of Dolphin pool vacuum cleaners, so it can be hard to choose which would best suit your needs. Our guide will help you determine which Dolphin swimming pool cleaner would do the best job with cleaning and maintaining your swimming pool, so that you can get back to relaxing faster. This Dolphin cleaner features their new MultiMedia Now system. This robotic cleaner has four types of media in one robot for the best clean. It uses commercial grade DC motors, which reduce energy use up to 87%. It will only work with inground swimming pools. There is a swivel system, which offers a 360-degree rotation for a tangle free operation. 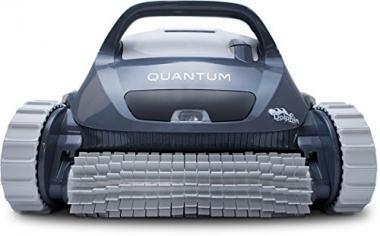 It can reach deep depths and uses dual scrubbing brushes to eliminate any debris. Dolphin also includes a 3 Year Warranty. 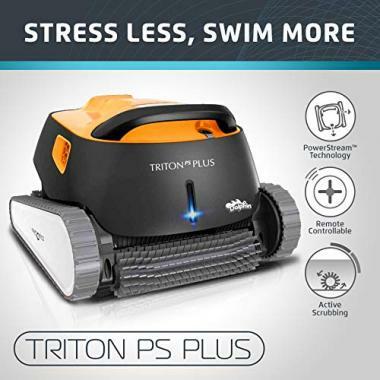 The Triton is a premium series Dolphin pool cleaner. It has superior scrubbing power and PowerStream mobility. This Dolphin cleaner can travel on vertical surfaces for intense wall and waterline scrubbing. It will clean your pool in just 2 hours. It is easy to use and lightweight. The design is made for inground swimming pools. It has a powerful filtration for any large debris. The Triton makes automatic cleaning simple. It will save energy and does not require a booster pump. 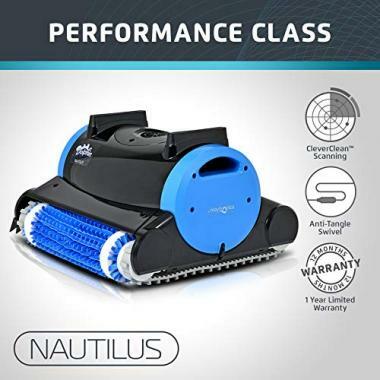 The Dolphin Nautilus Pool Cleaner allows you to plug and play. It is easy to use and has a single button control. While you play, it will clean. It is made for inground swimming pools up to 50 feet deep. The CleverClean Technology ensures there are no random cleaning patterns. This Dolphin cleaner will scan your pool and intelligently create an algorithm to efficiently clean all of the floor and walls. There are dual scrubbing brushes and large bottom-load cartridge filters to ensure your pool is sparkling. It offers hassle free cleaning and has an anti-tangling swivel cable. 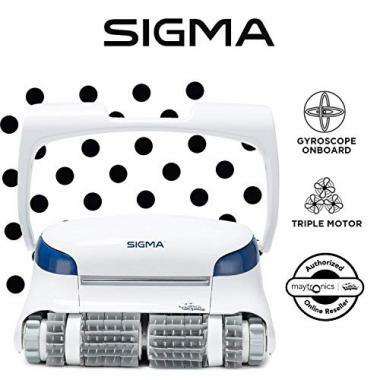 The Dolphin Sigma offers a hassle-free clean, which is easy to use. 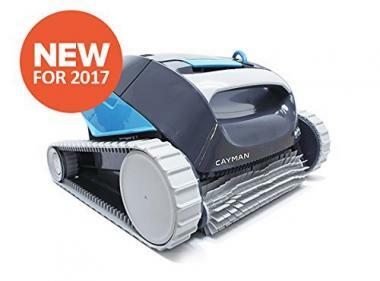 The robotic cleaner has an anti-tangle swivel cable so that the cleaner can freely move around even large residential pools. It has no messy bags to clean and uses massive top loading cartridge filters. It has dual scrubbing brushes to remove even algae from the floor and walls. It has smart navigation and scanning software. It is also backed by a 3 Year Quality Assurance. The Dolphin Quantum Pool Cleaner is largest sized and has a 400 square inch top loading cartridge filter. It has hypergrip continuous rubber tracks and dual scrubbing brushes to ensure it has superior wall climbing and will leave other cleaners in it’s wake. There is a micron filtration system to trap even the smallest debris. The SmartNav 2.0 offer efficient navigation that will propel the robot forward. This Dolphin Triton is part of their classic series. It is recommended for inground swimming pools and residential pools up to 50 feet deep. It is an advanced robotic cleaner for an affordable price. It can clean a pool in just 3 hours. It has a cartridge filter system, which is easy to clean. All you have to do is plug it in. No pre-installation or connections to the pool system is needed. It is self-programmed for optimal pool scanning. The Dolphin Cayman will remove the toughest contaminants that are stuck to your pool wall and floor. It has a scrubbing hyper brush and HyperGrip rubber tracks. It will easily turn cloudy water clear. It has a top access filter compartment and is easy to use. The SmartNav 2.0 will intelligently clean any swimming pool. This Dolphin cleaner is designed for hotels, motels, and resort pools. It will clean the floors, walls, and waterline of all swimming pool using a multiple cleaning cycle. It has a large capacity filter bag and dual scrubbing brushes. It is anti-tangle for complete pool coverage. It is also energy efficient. All you have to do is plug it in and turn it on. 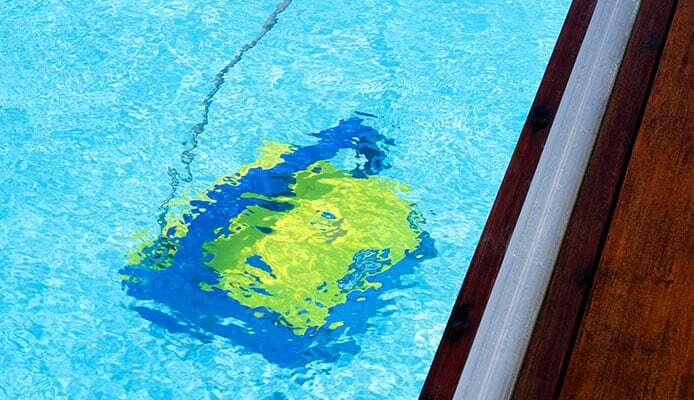 Basic pool chemistry and maintenance is important for the swimmer’s health and hygiene. It is also important because it will ensure your swimming pool always looks pristine. With a proper pool maintenance schedule, you swimming pool should always have crystal clear water. The most common way that people maintain their swimming pools is by using a pool skimmer, which is an excellent way to rid large debris from your swimming pool. However, pool skimmers require that you do the majority of the work because they are manual. A Dolphin pool vacuum cleaner will automatically move around your pool and rid it of both large and small debris. The best Dolphin robotic pool cleaner will easily remove sand from your pool and get rid of water bugs. There are a lot of Dolphin pool cleaner models and it can be difficult to determine which would best suit the size and shape of your swimming pool. Our buying guide will provide you with all the information you need to make a successful Dolphin pool vac purchase, but you can also check for Dolphin pool cleaner comparison charts and Dolphin pool cleaner reviews. Dolphin pool cleaner models come in a variety of series. The four series available are the AG series, S series, C series, and P series. AG series: For above ground swimming pool designs. S series: Standard pool vacuums. There are two types of pools. Above ground pools and inground pools. Above ground swimming pools will likely be similar to those of Intex pools. You will need to find a Dolphin automatic pool cleaner that functions with your type of swimming pool. Not all Dolphin pool cleaner models can work on both above ground and inground swimming pools. But there are models than can help you maintain and clean your above ground pool. You will likely have to find a Dolphin pool vacuum cleaner that specifically states which type of pool they are designed to clean. This information should be provided in the specific model or product information. Dolphin automatic pool cleaners are designed to clean your pool using a robotic and vacuum design. The Dolphin pool vac can be placed into a pool and left alone. The technology of the Dolphin swimming pool cleaner will guide it around the pool and with proper installation, it should be vacuuming up any debris. These types of pool cleaners offer the benefit of less manual work to clean your swimming pool and they can even clean the tile at the swimming pool line. Debris may come in small and large sizes. The best Dolphin pool cleaner will be able to eliminate all debris, regardless of the size. 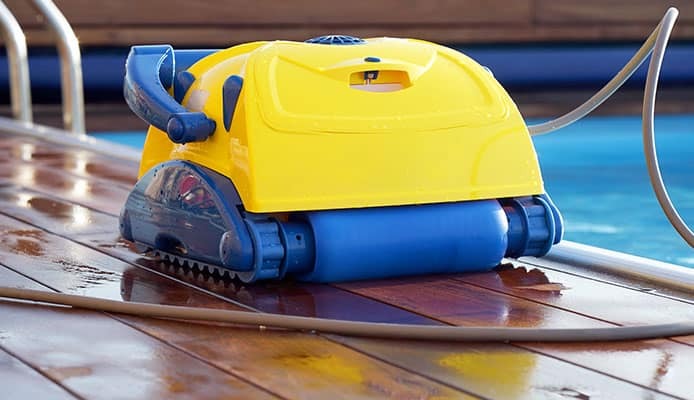 However, one of the main benefits of a Dolphin pool vacuum cleaner is that it will easily remove small debris like dirt and sand, without causing it to spread through all of your water. This is because they are simultaneously vacuuming as they are roaming around your pool. There are two other pool factors that can affect how well a Dolphin swimming pool cleaner will work for you. You should consider the size of your pool and the shape. Some Dolphin pool vacs are larger than others, which means they would be best for a larger sized pool. However, a top rated Dolphin robotic pool cleaner can ultimately clean any pool. They might just need to be left in the water for longer to remove all the debris. Most Dolphin cleaners are run off of the energy of an existing pool pump or an additional pool pump. Depending on the size of your pool and the size of your cleaner, you may not be consuming any more energy than your existing pool pump. However, if you choose to add a booster pump you still shouldn’t be consuming large amounts of energy because a Dolphin pool vac will only be run for several hours a day. Q: Why choose Dolphin over other brands? 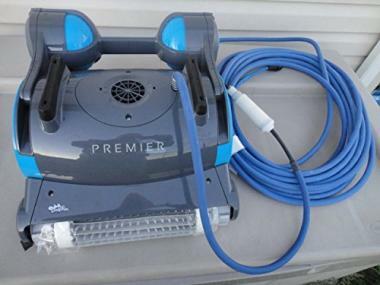 A: There are a variety of other pressure pool cleaners and pool cleaners that you can look at or different brands like Polaris pool cleaners, but Dolphin is a popular choice because they are manufactured by a company that strives for user friendly, energy efficient, and affordable pool cleaners. Maytronics manufacture Dolphin pool cleaner models and many swimming pool owners love the design. With Dolphin, you will get unmatched results with intelligent navigation and active brush technology. Dolphin pool cleaner reviews are a great indication of how loved the Dolphin brand is in reliability, durability, and endurance. Q: What are the benefits of using a Dolphin pool cleaner? A: Dolphin automatic pool cleaner designs will eliminate the hard work of manual pool maintenance and labor. 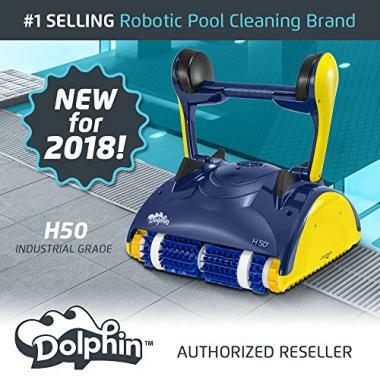 With a Dolphin pool vac, you can sit back and relax while the robot cleans for you. With Dolphin, they have an intelligent navigation system, which will learn the specifics of your swimming pool to make it exceptionally clean. Dolphin pool vacs also their own filtration system, separate from the pools filtration. This will save your pool filtration system from overworking and needing to be replaced. Dolphin cleaners are also energy efficient and simply to use. Q: How to care for a Dolphin pool cleaner? A: Just like you maintain your pool, you’ll want to maintain your Dolphin pool vacuum cleaner too. The more you rid the filter bag of debris, the better it will clean. There should be specific instructions provided with all Dolphin pool cleaner models that can inform you how to properly care and maintain your device. Robotic pool cleaners are becoming more popular for swimming pool owners to invest in and minimize their swimming pool maintenance work. To stay ahead of the game, you should look at the best Dolphin pool cleaner models and designs. Dolphin is a reliable company that offers efficient, reliable, and easy to use swimming pool cleaners. With a Dolphin automatic pool cleaner, you can leave the hard work to the machine and spend your time doing a quick check on water quality with a pool test kit. With a top rated Dolphin robotic pool cleaner, you can have fun in the pool while the Dolphin cleans for you. If you know what you want or need, you can save time and money to get back to relaxing. Do you own one of the Dolphin pool cleaners that made it onto our list? Let us know how it has worked for your swimming pool maintenance needs in the comments section below.